When shipping advanced electronics such as robotics and medical devices, the importance of delivering equipment preassembled is driven by the customer's need for simplicity. Destinations for such orders range from doctor's offices and clinics to trade shows and laboratories. Whatever the location, the top priorities from a customer's perspective are that the product arrives in working condition and that it works with little or no assembly. How you design your crates or ATA cases for shipping makes a large difference in accomplishing this. We suggest the best way to guarantee safe delivery of pre-assembled products, especially when shipping sensitive and expensive technologies, is to develop a relationship with and work closely with the company designated to crate and ship your product. Reviewing your product's shape and design. Will unconventional crating or perhaps a tailored transit case be required to accomodate the product's unique conformation? Pointing out monitors, sensors or delicate mechanisms. Allow your packaging designer to determine if extra measures will be required to insure their integrity during transit. Taking note of accessories. Are there hoses or other attachments that require special attention in the packaging design? Employing a range of different materials. Be sure you know all the options available before deciding what will work best. Exploring a range of possible designs. Your product may require an "out of the box" solution for crating. Setting new expectations. You know what your customer expects. Select a shipping company that respects your desire to meet your customer's needs. Your product engineers work with 3D models. 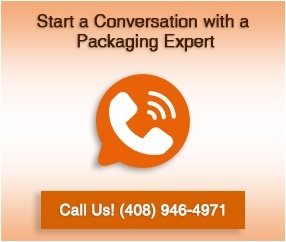 Choose a packaging company that can think in more than one dimension. When shipping preassembled devices and machines, provide product models to your packaging partner. If they can't design a prototype based on a computer rendering of your product, there's a good chance they're not sophisticated enough to provide the kind of solutions you need. Working with the right partner, a packaging and shipping solution can be created that meets your need for precision and is sure to please your customers.